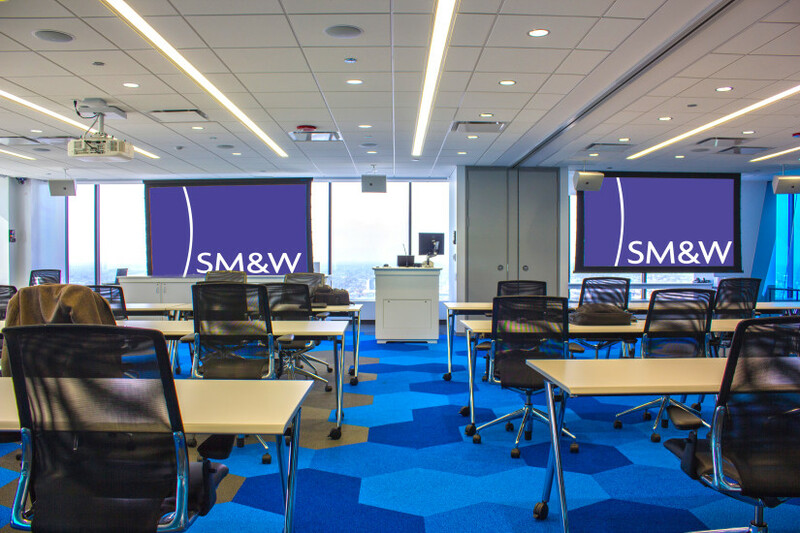 Located on the 43rd Floor of the Willis Tower in Chicago, IMF Financial Markets’ the facilities range from basic conference rooms with local table connectivity and videoconferencing to a large, divisible training room—complete with dual projection, multi-camera video conferencing, audio reinforcement, wireless microphone systems, voice lift and shade and lighting control. The divisible training room required careful planning and coordination. Our team worked with IMC Financial Markets to thoroughly monitor and vet each system’s interface design. This ensured convenience and functionality while aligning with the vision for the space. 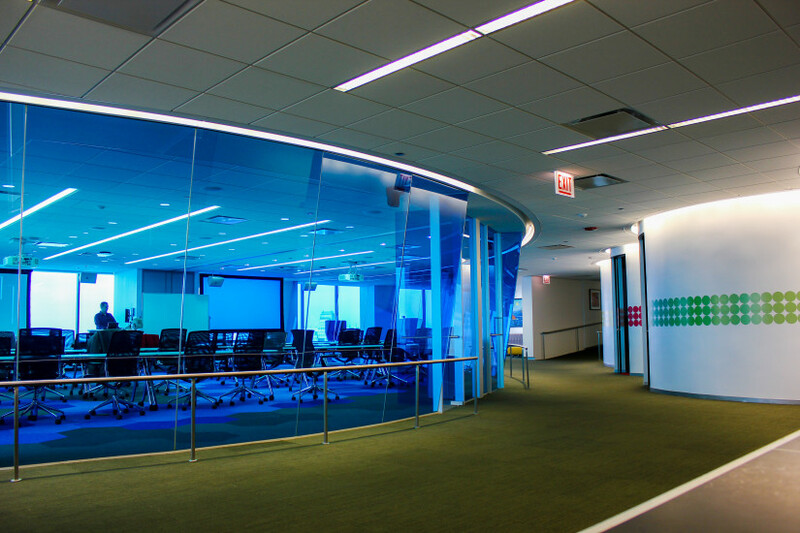 Due to ceiling space limitations, our team needed to provide creative solutions. 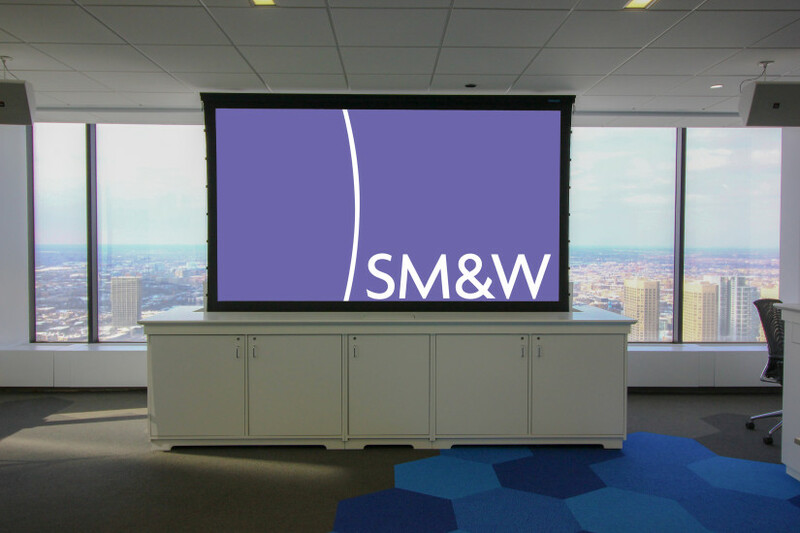 The overhead space in one conference room became so crowded that we approached the design from a new direction: a screen that rises from the inside of a credenza.